Burial of a dearly departed loved one still remains the most widely chosen option in Ireland. However more and more people are choosing Cremation. There are a number of factors that may influence your decision. What were the departed person’s wishes, is a family plot available, if not, budget considerations may have to be taken into account. Many people believe that cremation costs a lot less that burial, it is true that the cost difference between cremation and opening an existing grave in minimal, however if a grave has to be purchased, then the cost difference between cremation and burial can be substantial. 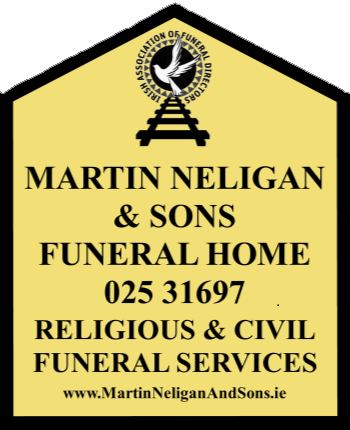 Call Martin Neligan & Sons Funeral Director for complete guidance on cost and availability at the various cemeteries and crematoriums.